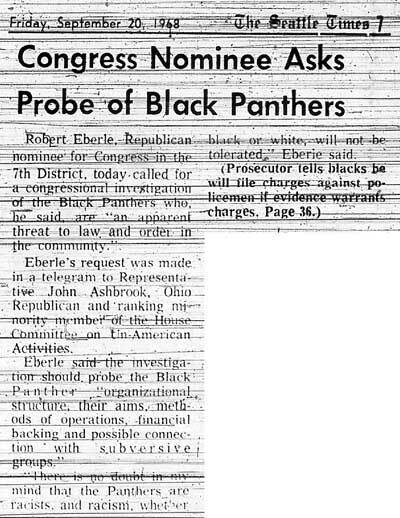 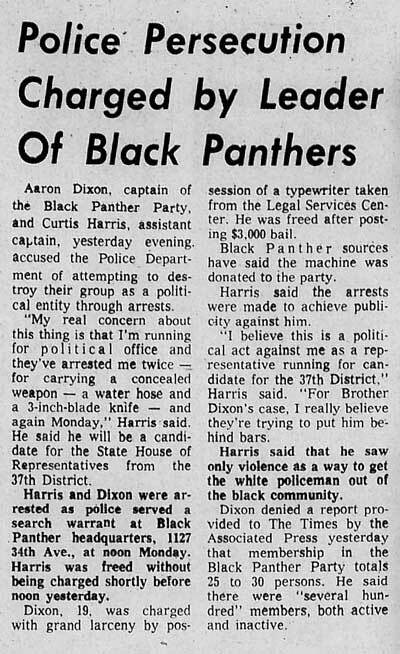 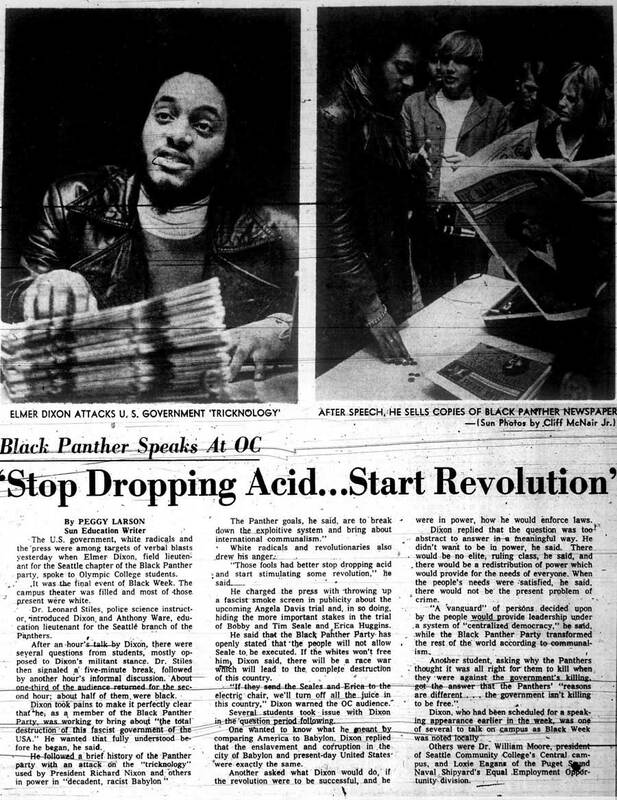 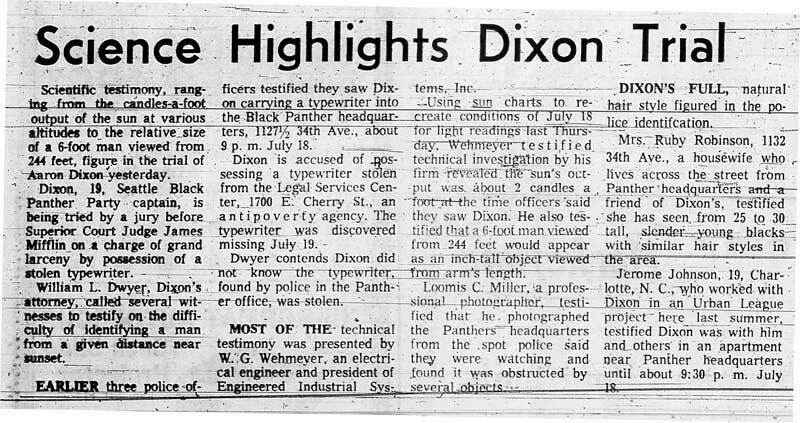 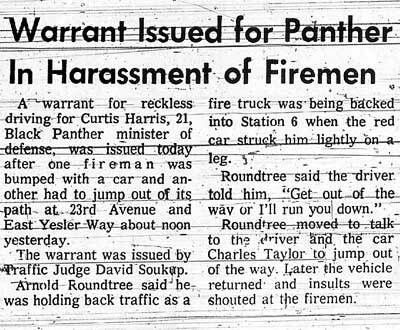 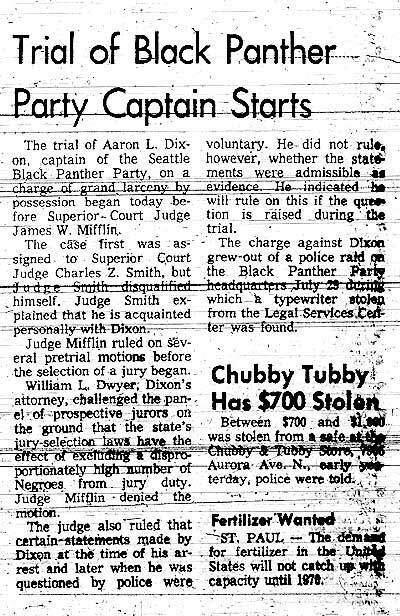 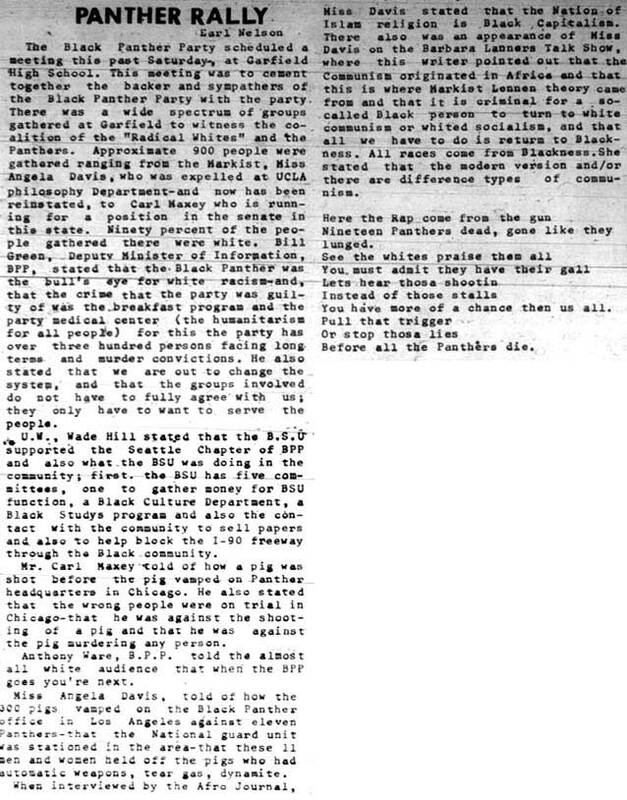 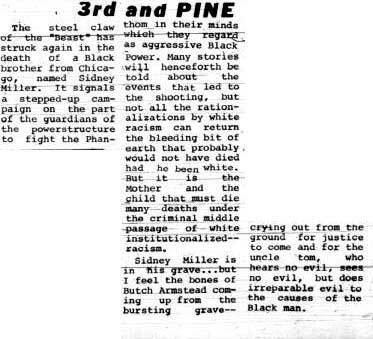 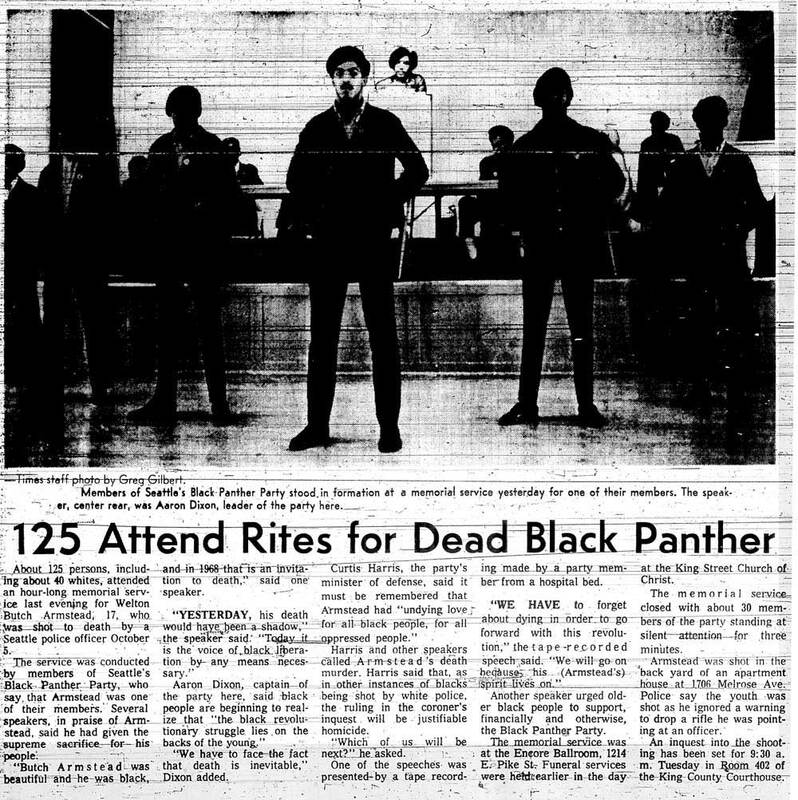 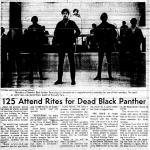 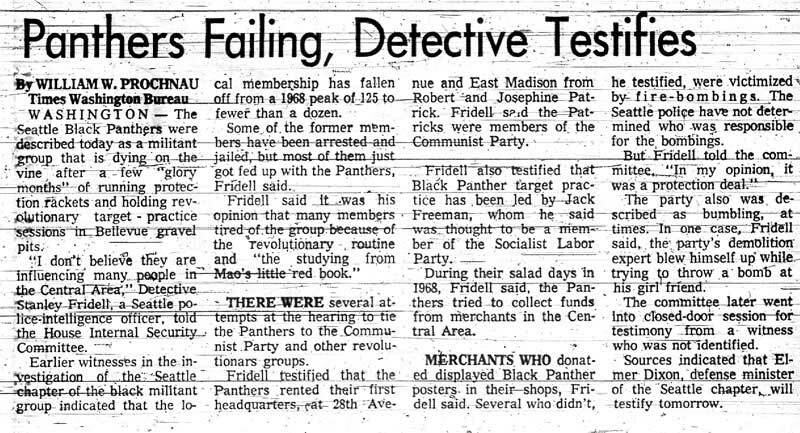 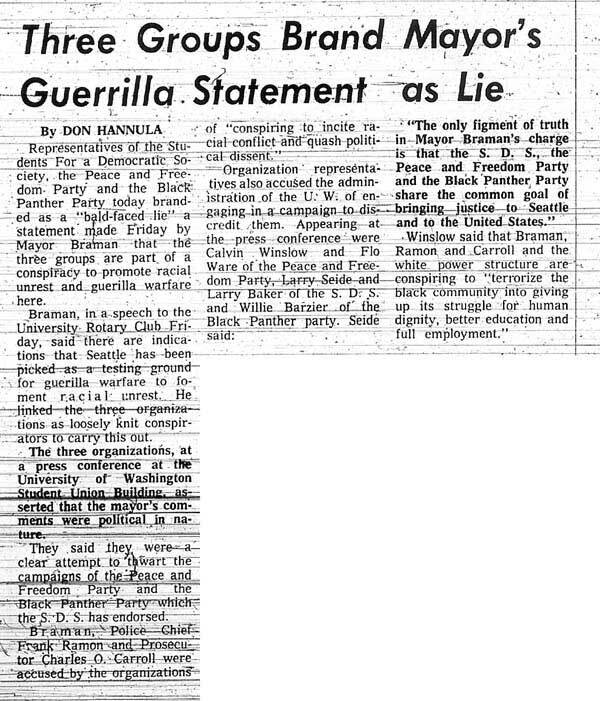 The Black Panther Party was a media magnet, attracting public attention like few other organizations in American political history. 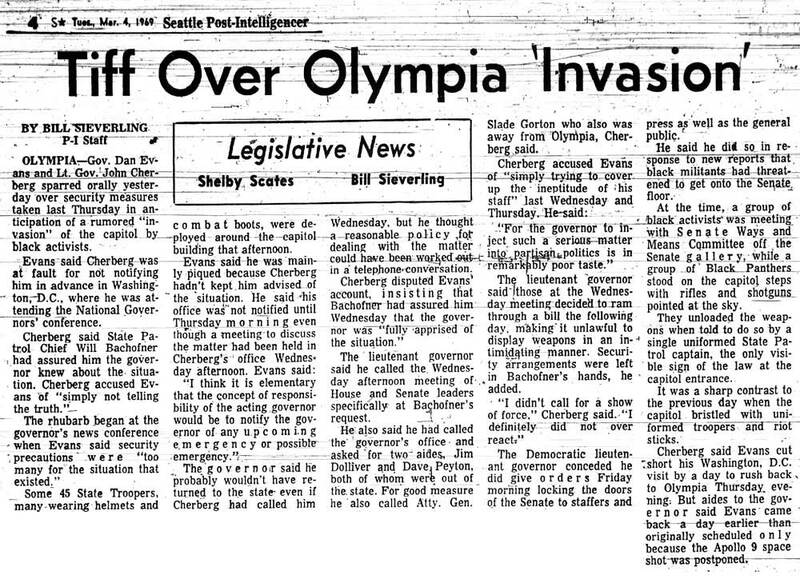 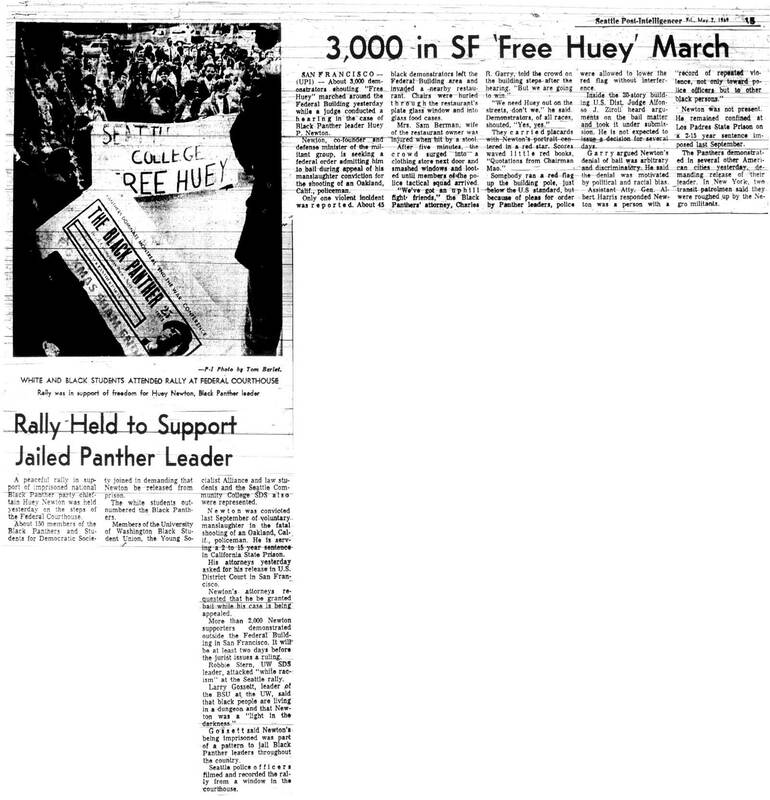 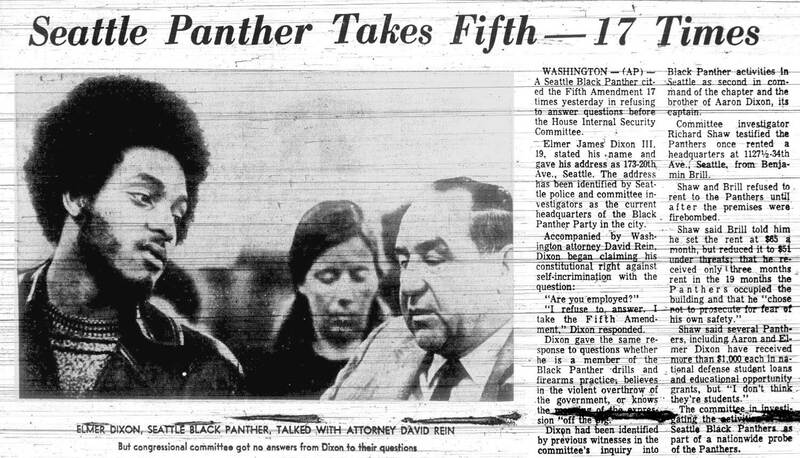 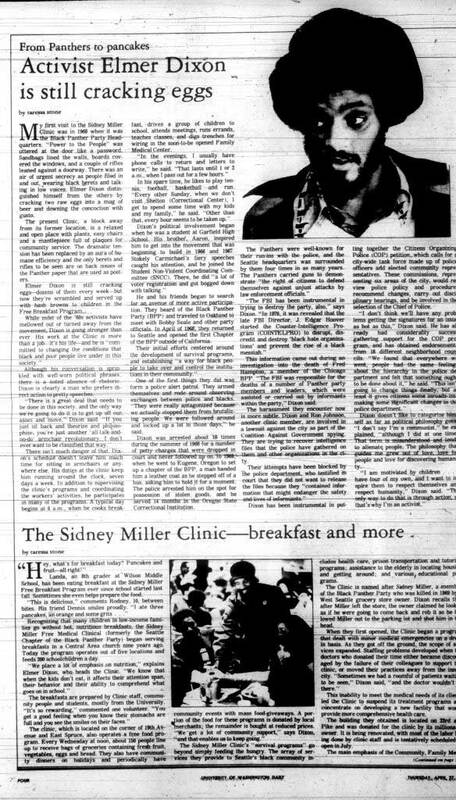 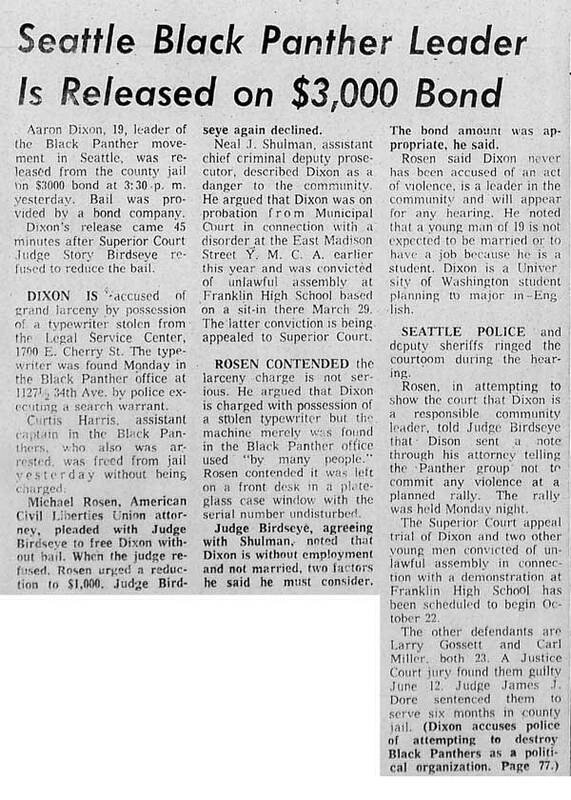 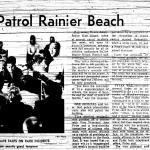 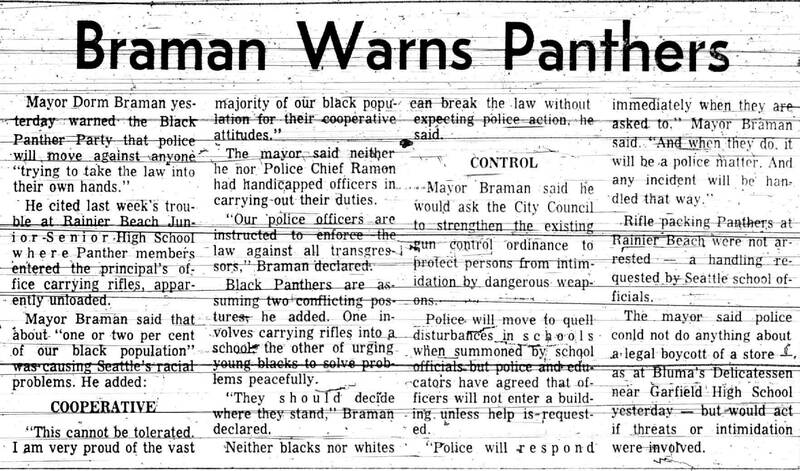 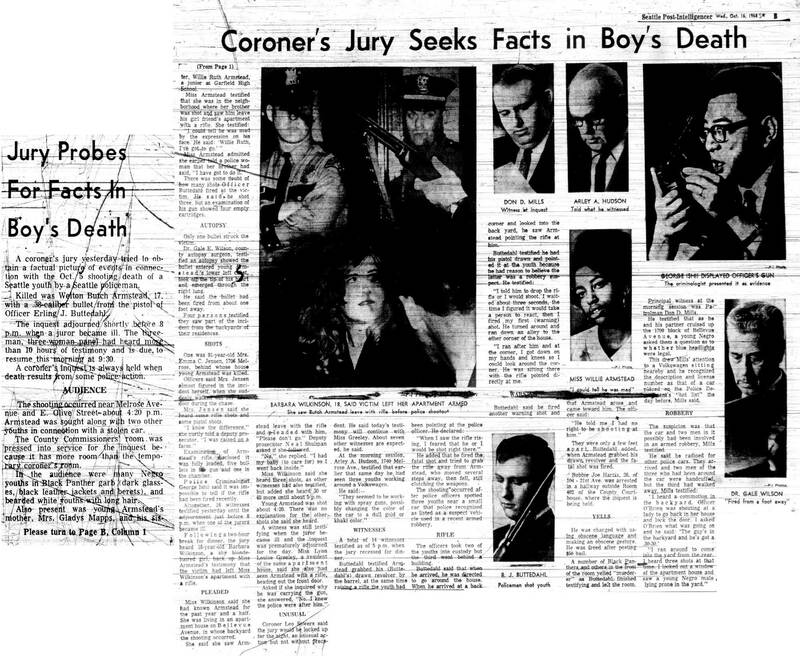 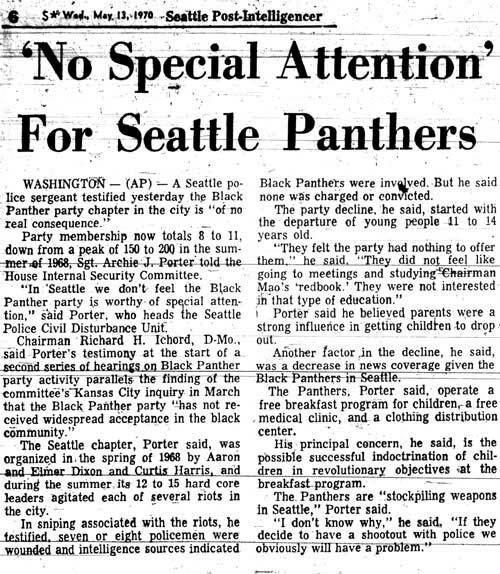 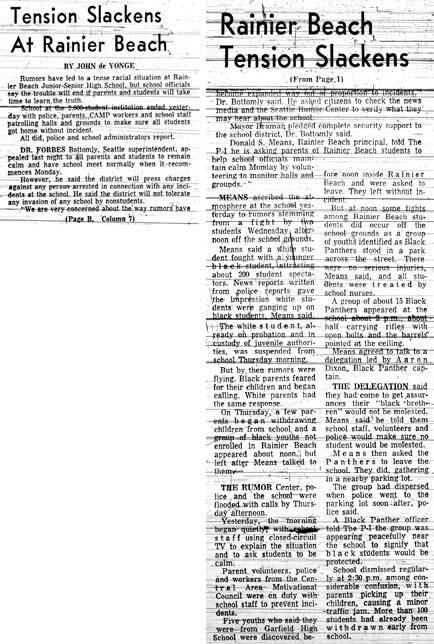 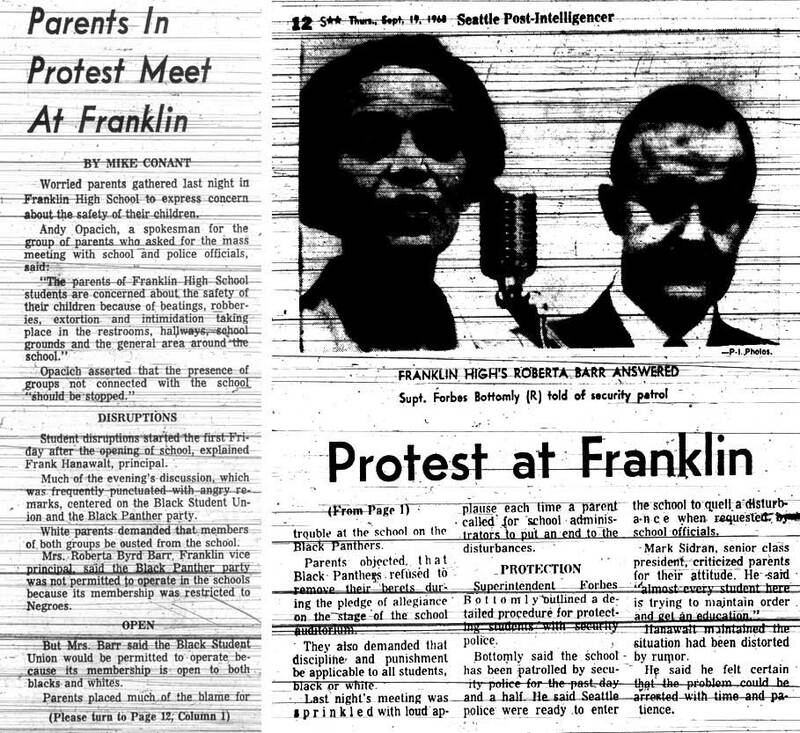 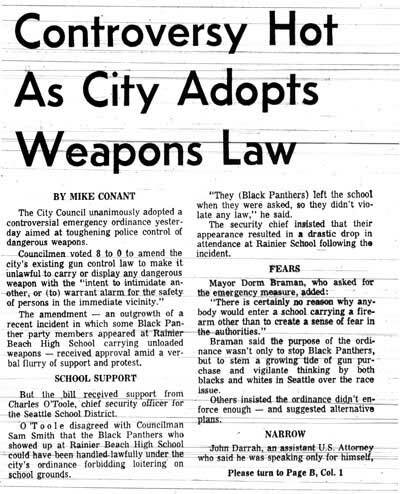 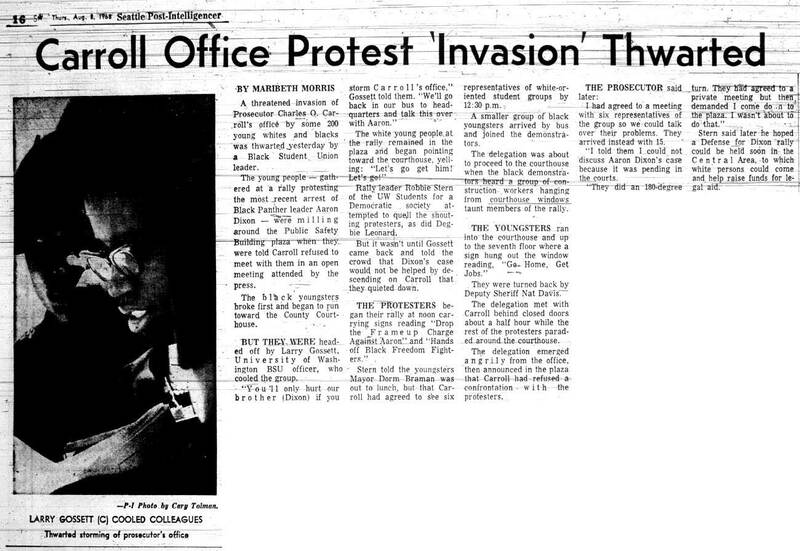 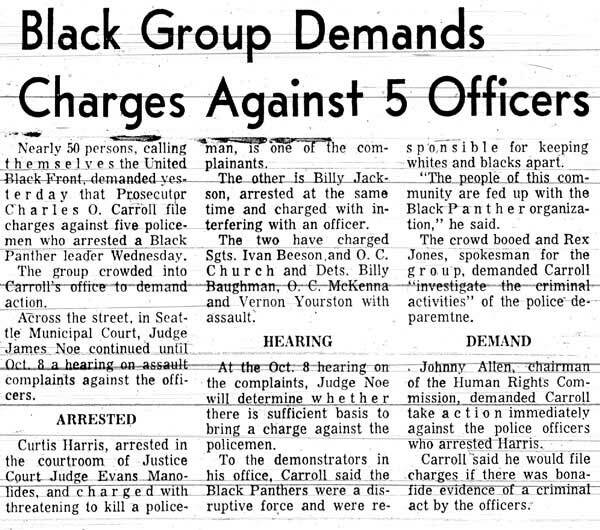 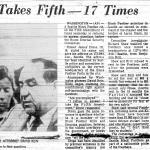 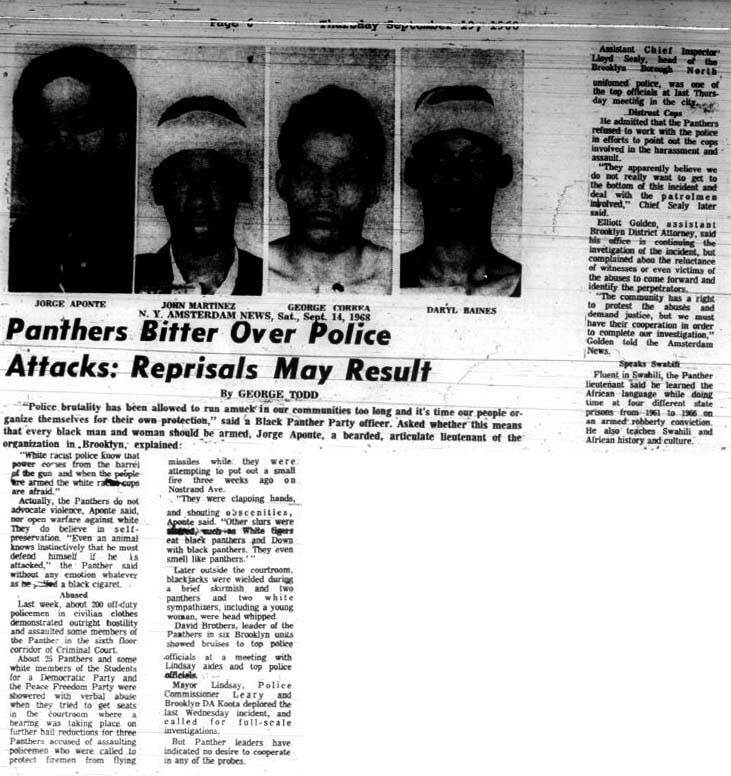 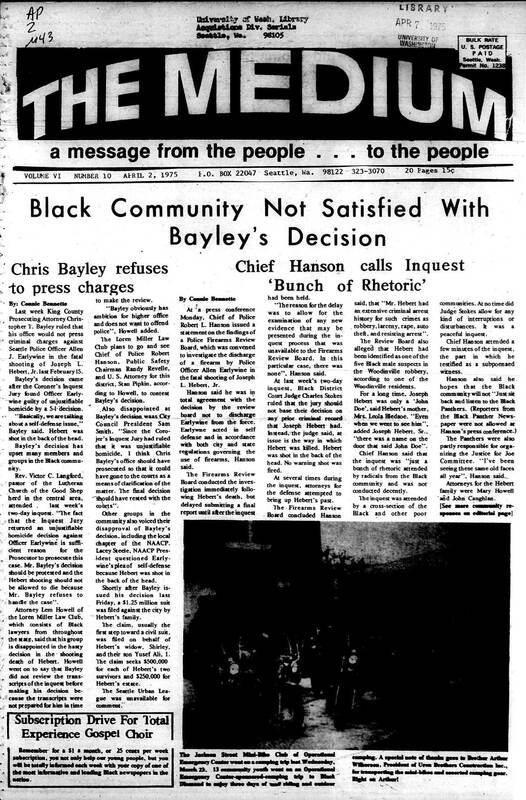 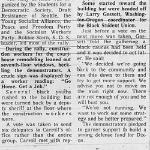 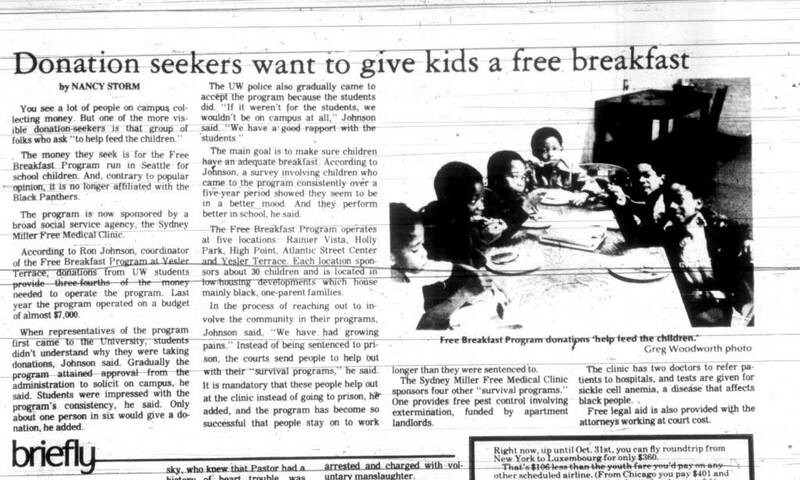 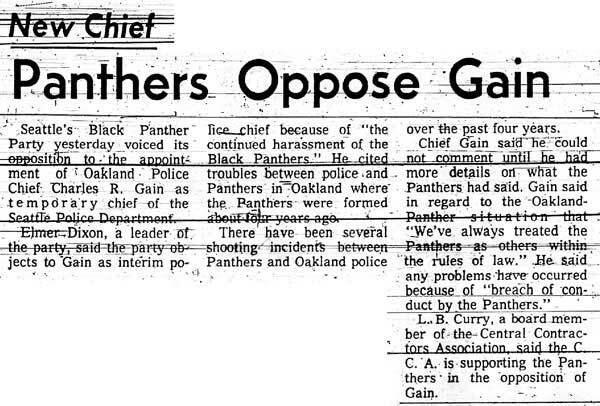 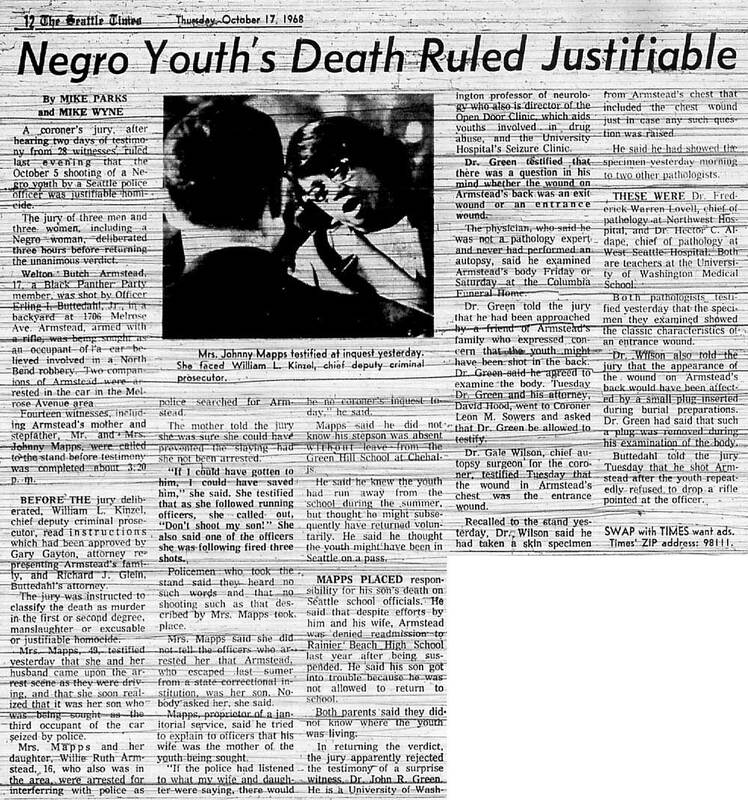 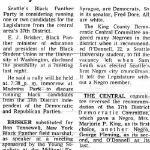 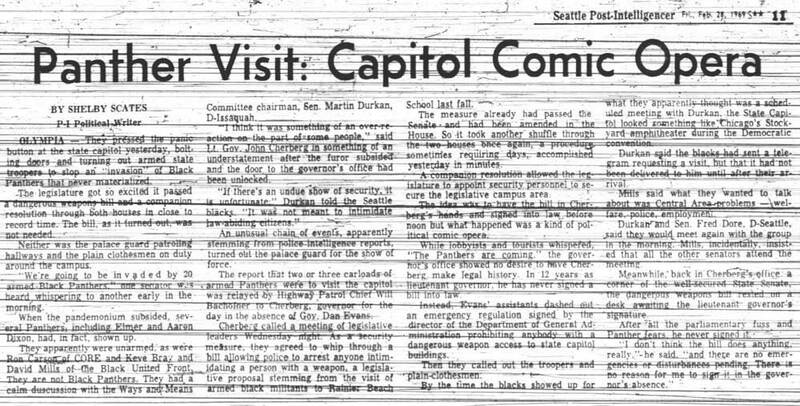 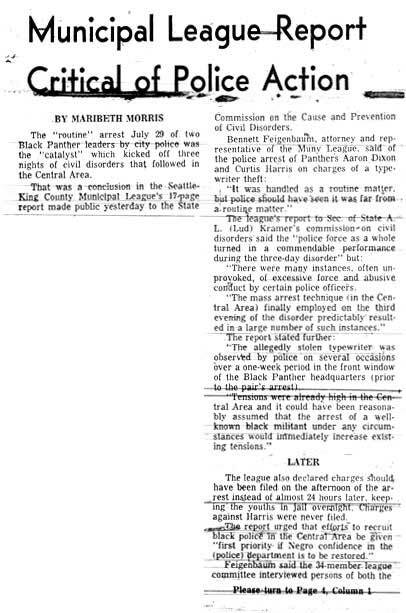 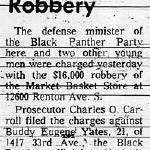 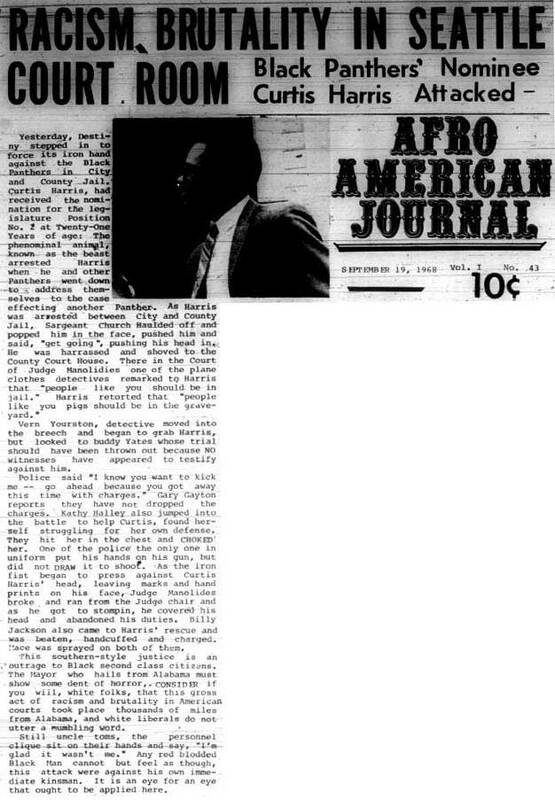 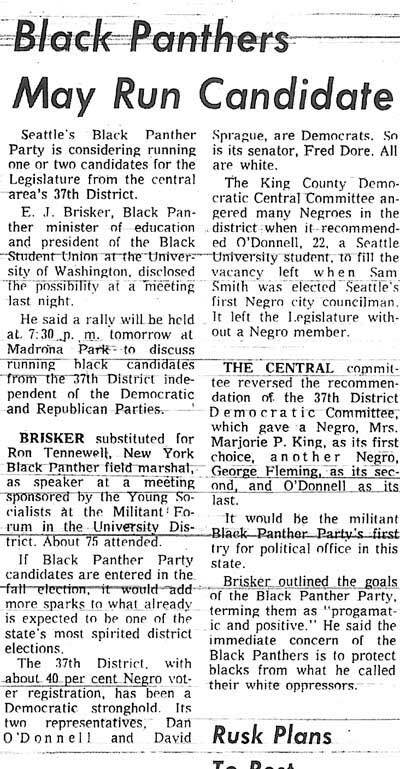 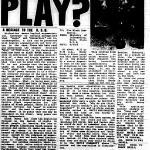 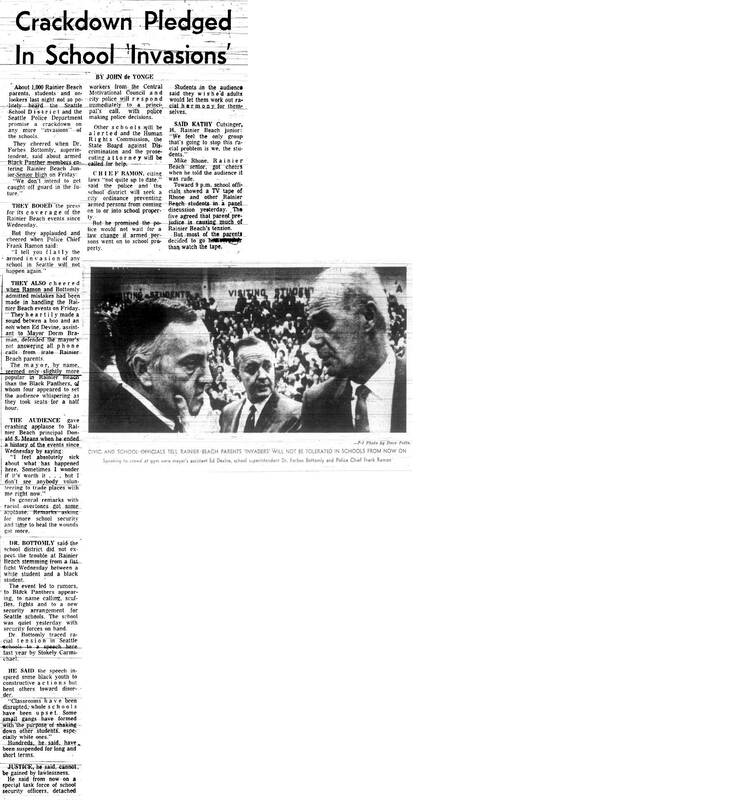 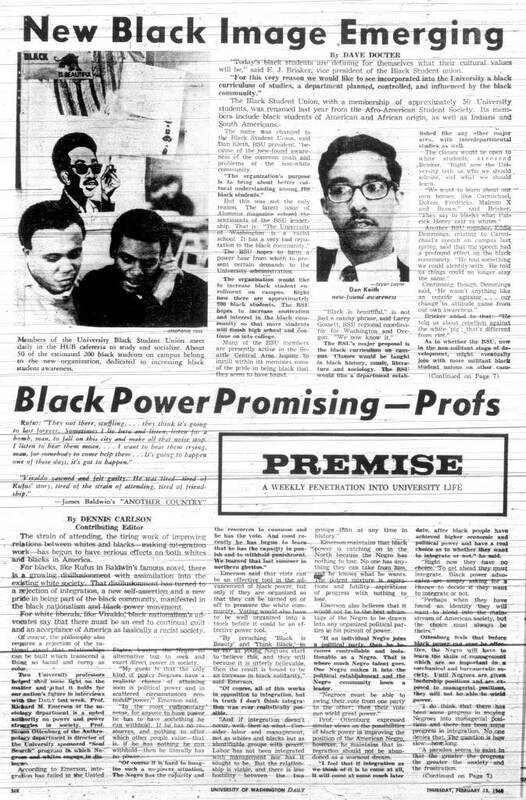 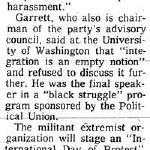 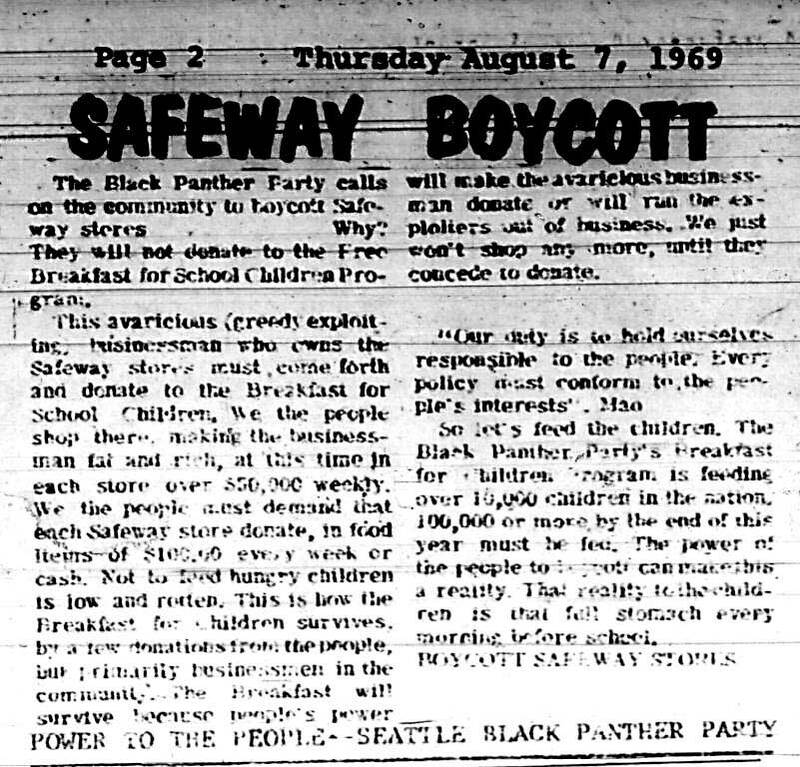 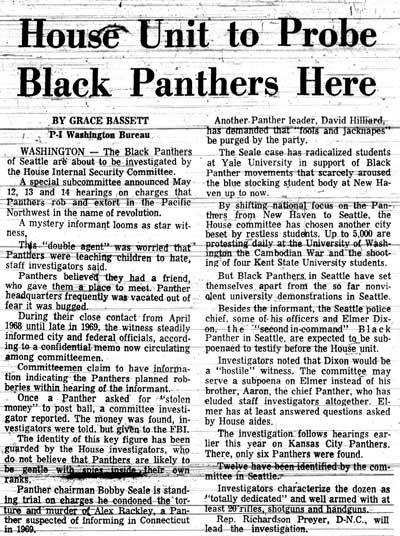 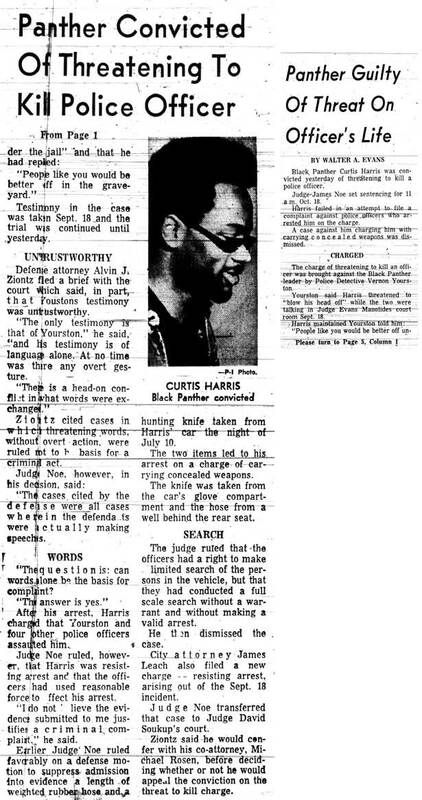 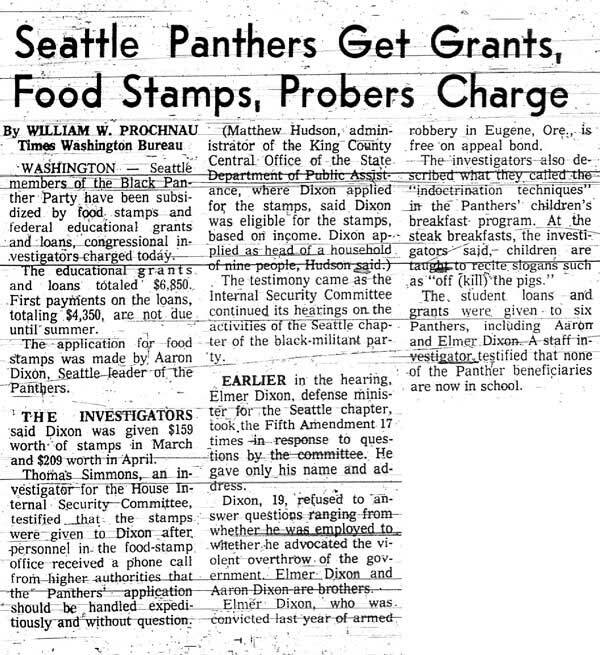 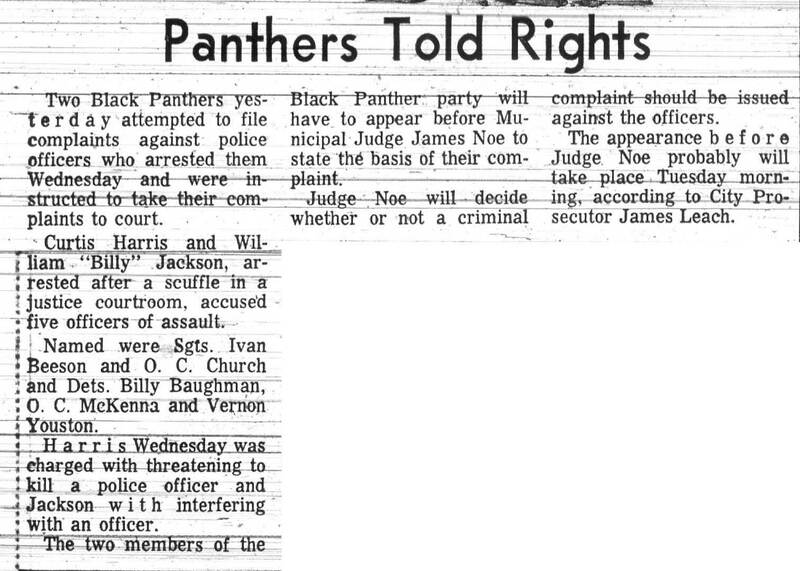 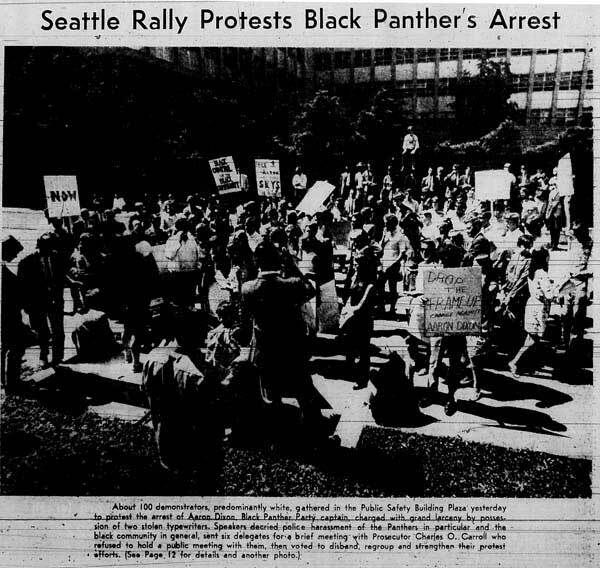 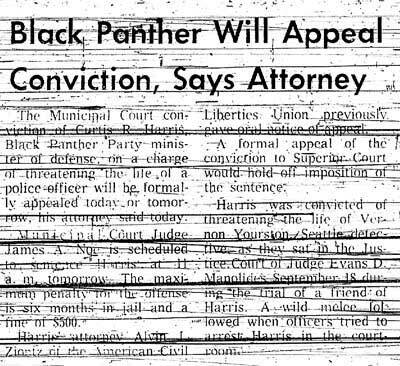 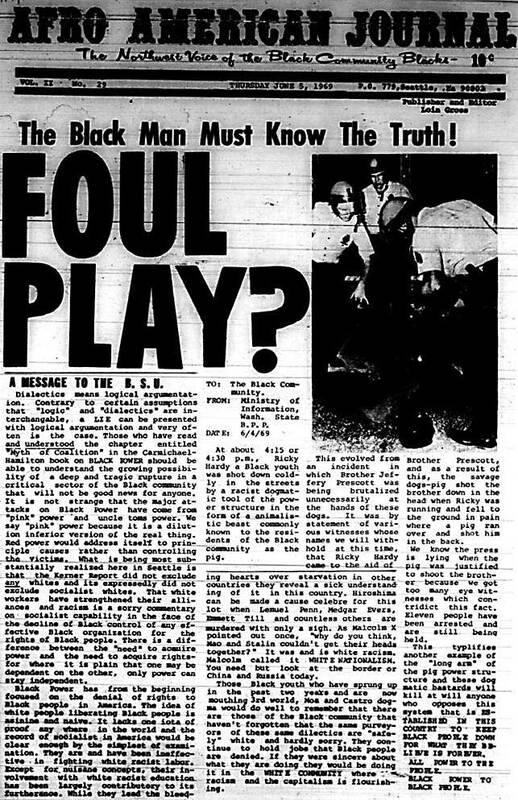 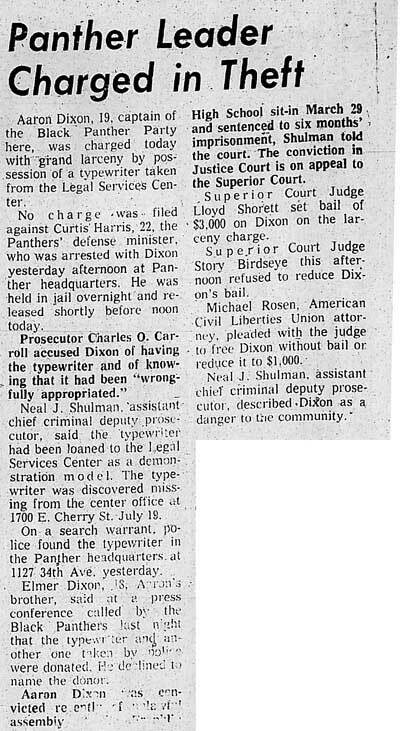 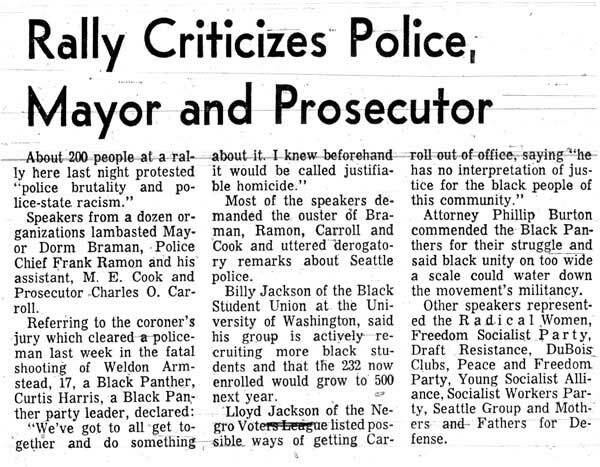 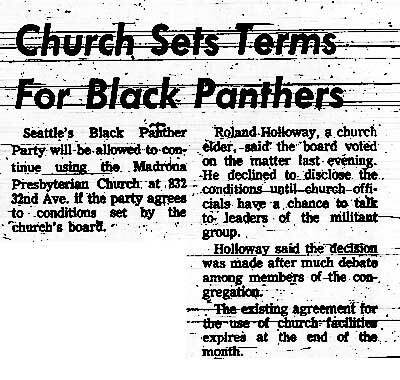 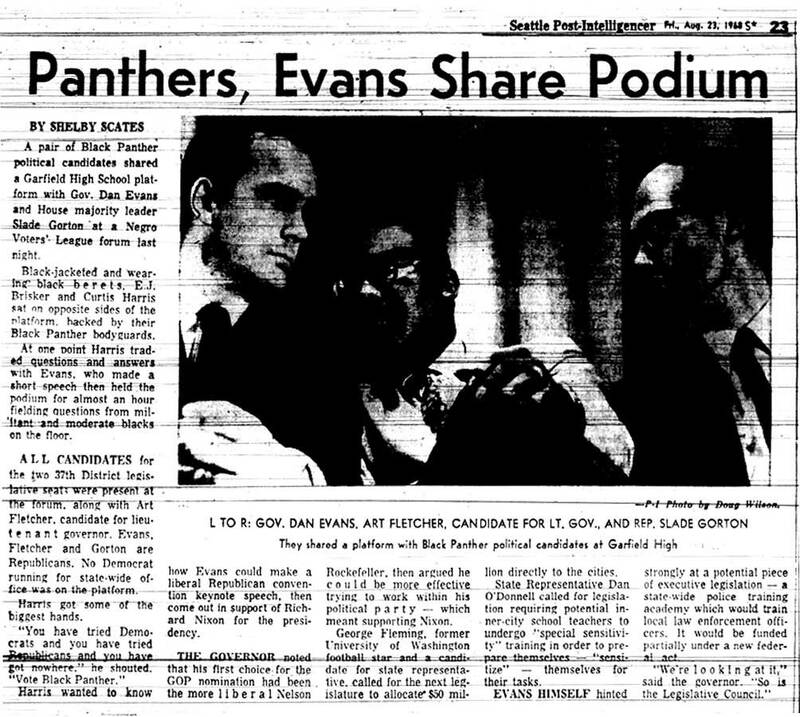 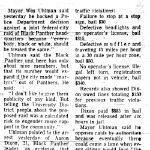 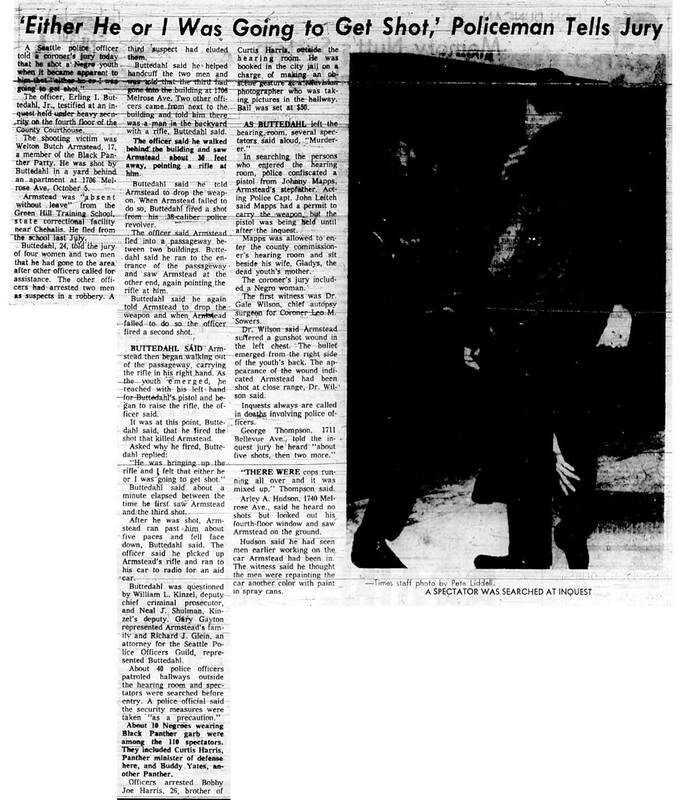 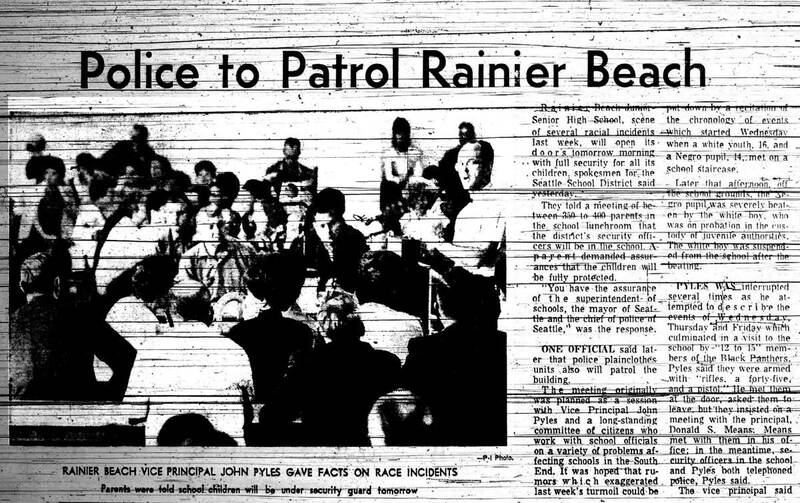 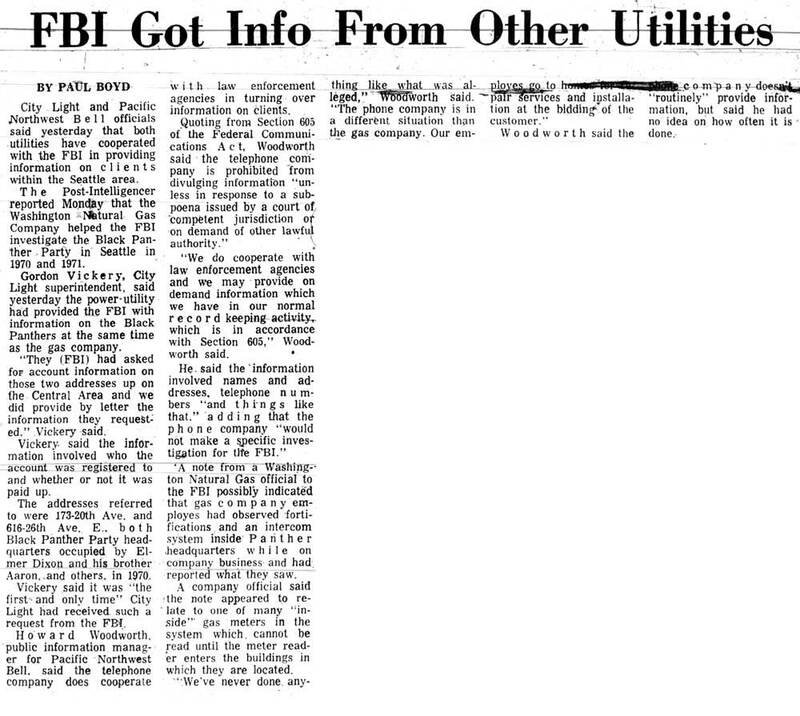 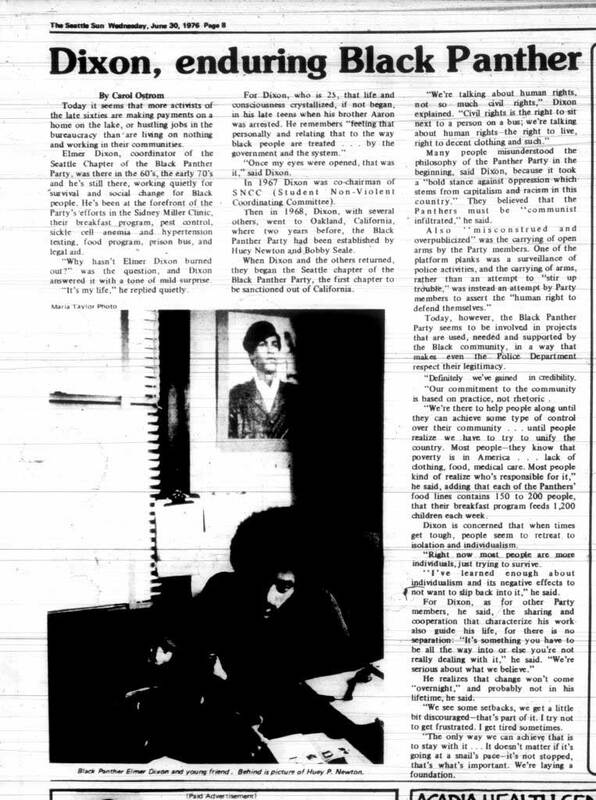 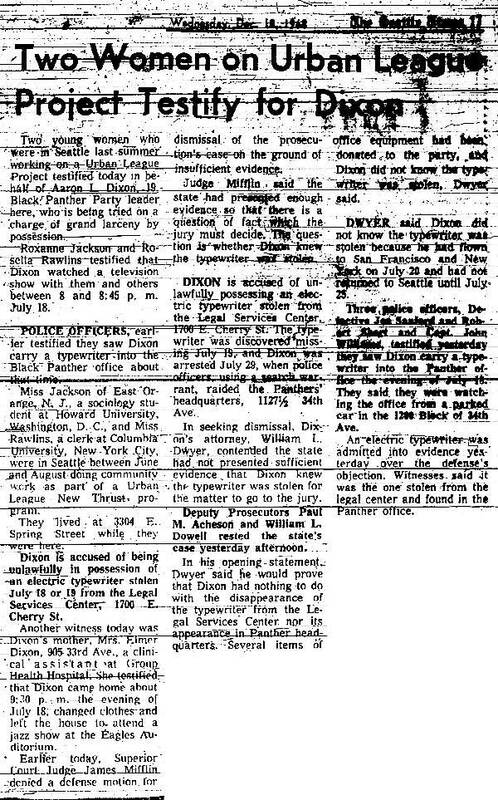 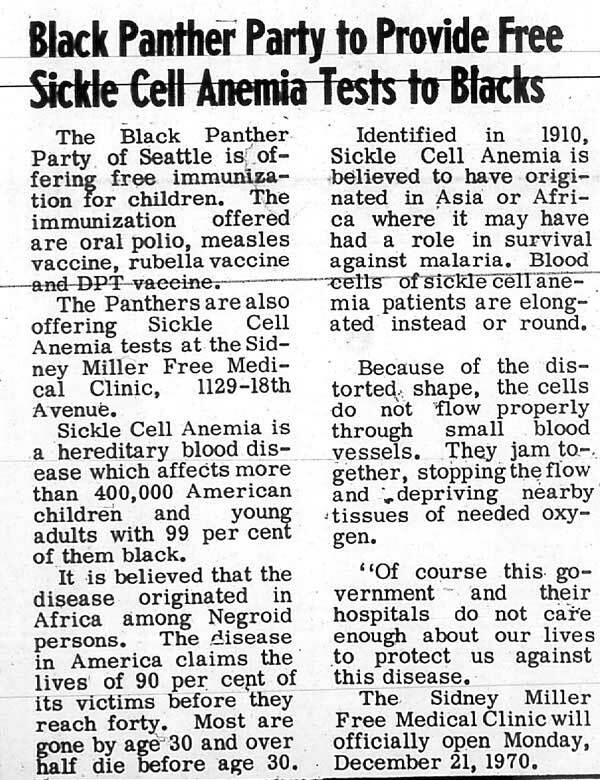 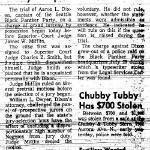 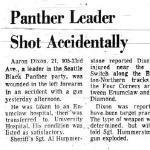 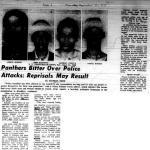 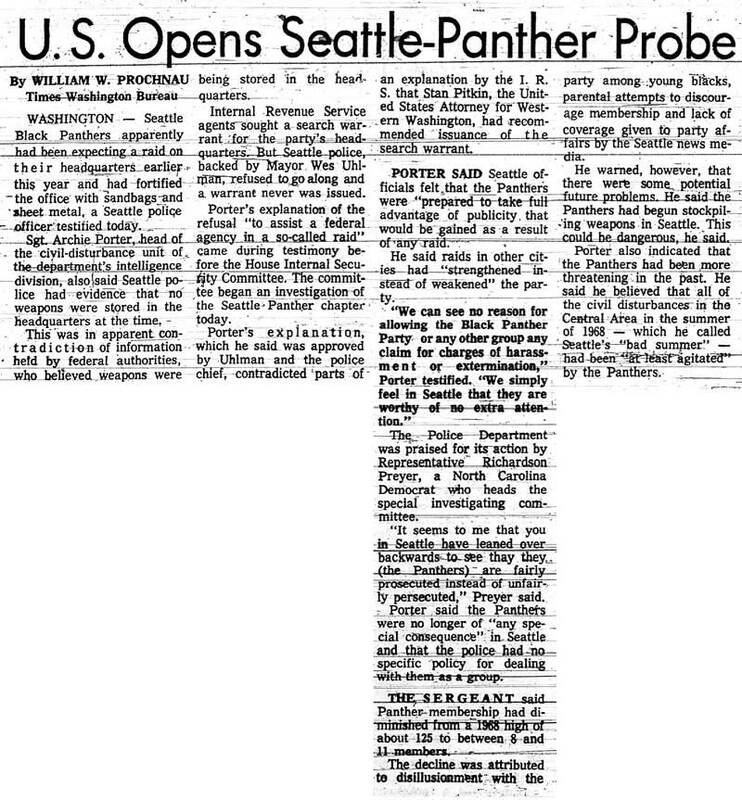 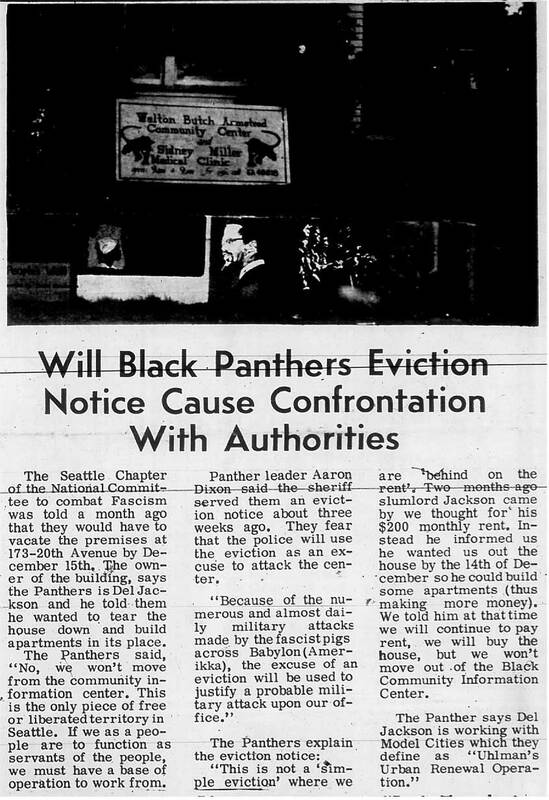 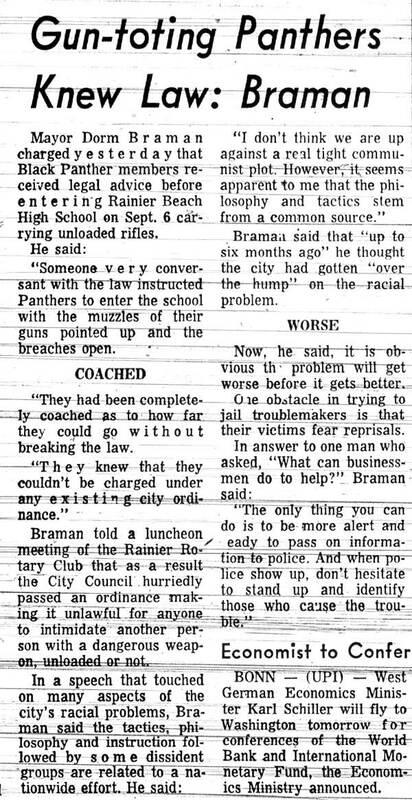 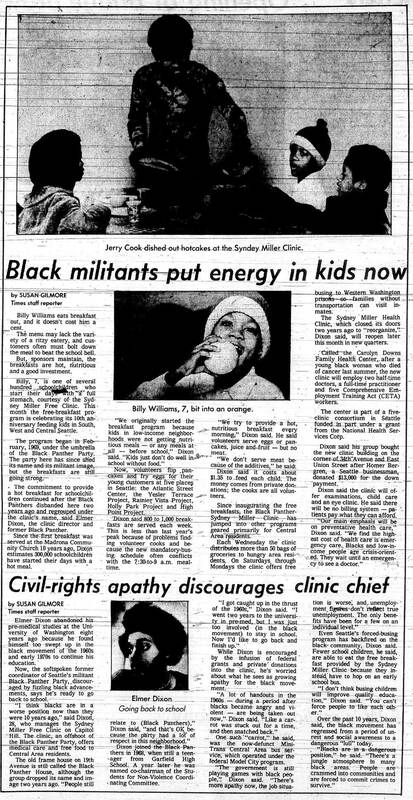 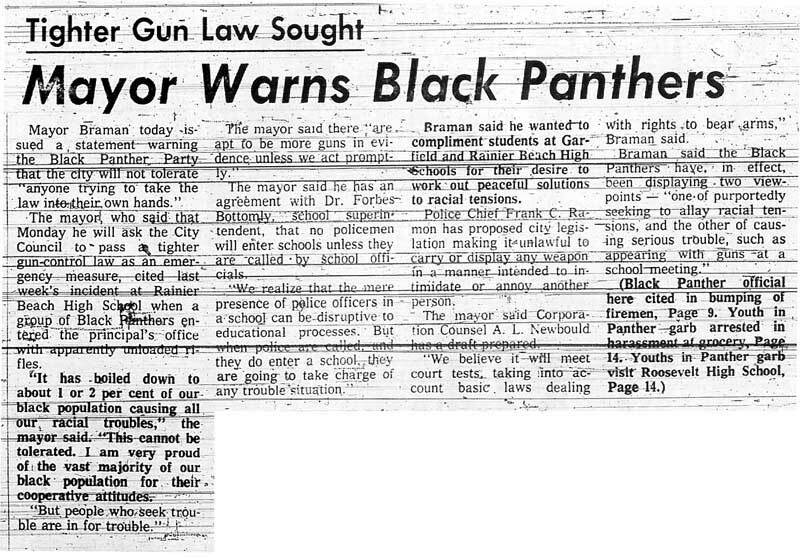 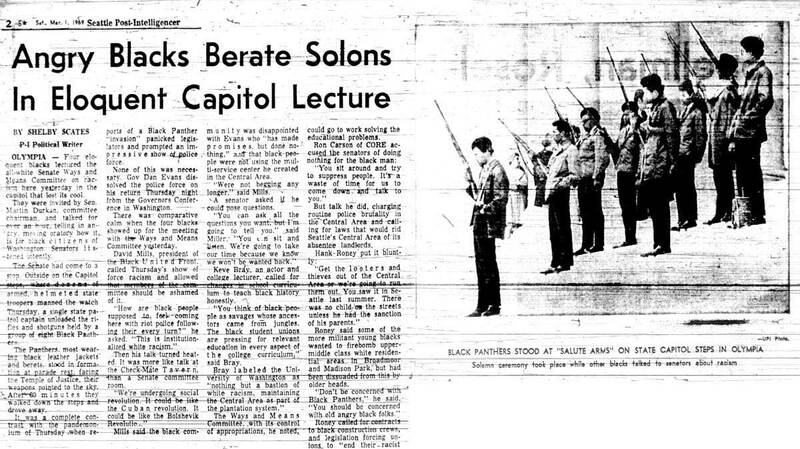 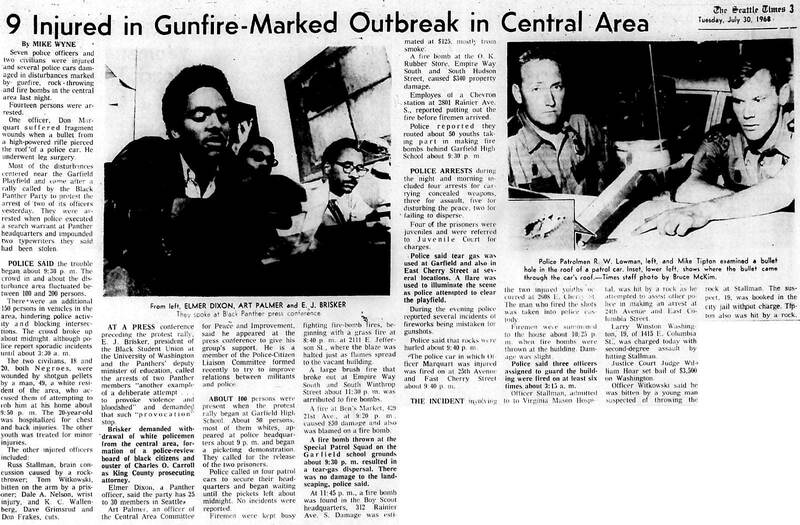 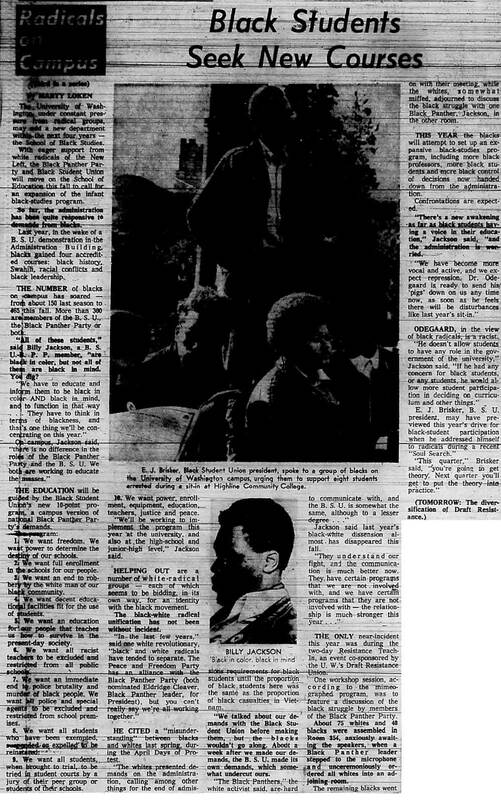 From its founding in April, 1968 until its dissolution in 1977 and even after, the Seattle BPP was often in the news. 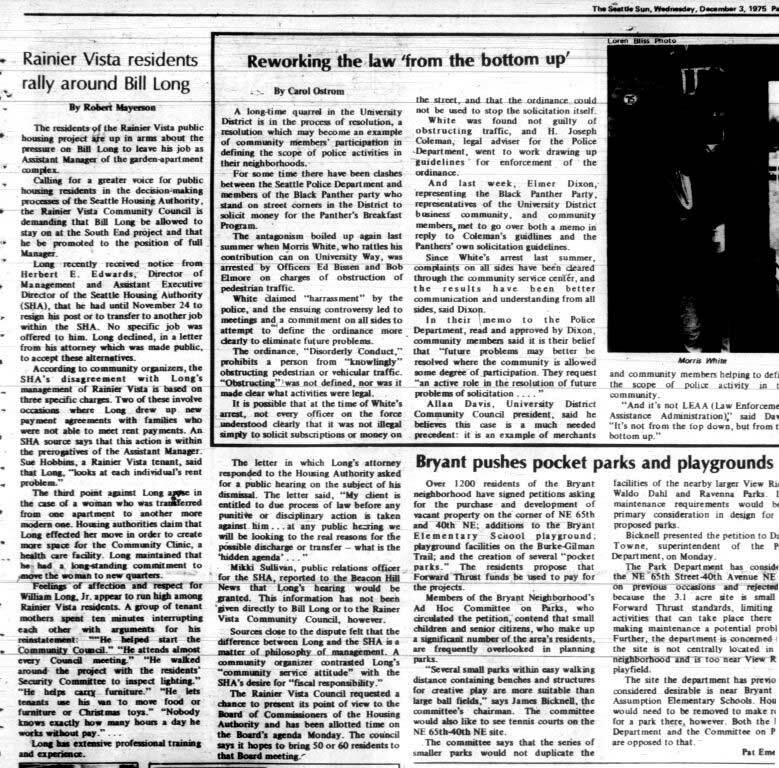 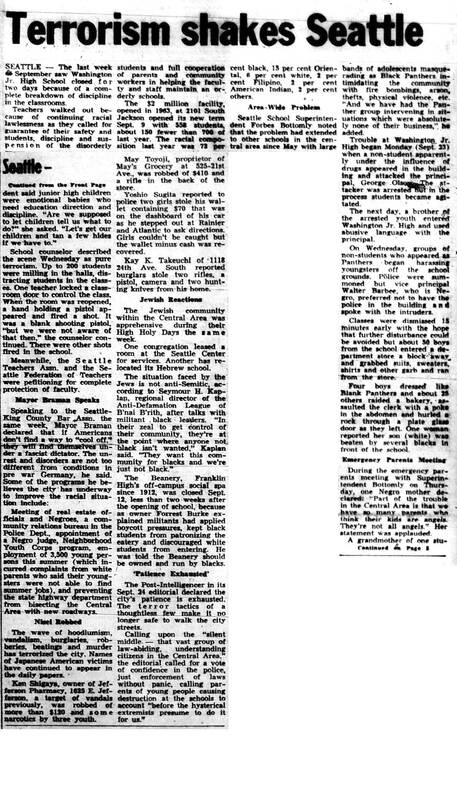 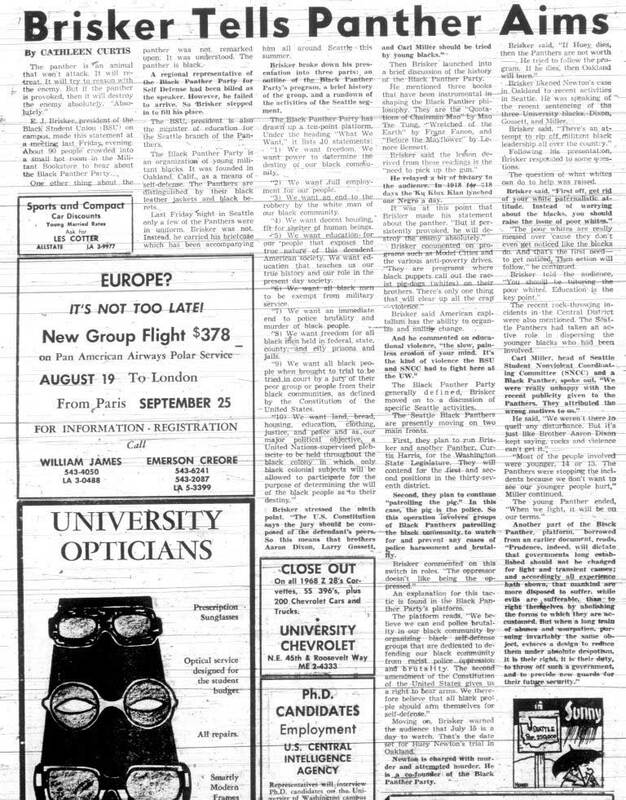 The Northwest Regional Newspaper Index maintained by the UW Libraries, Special Collections, lists more than 140 newspaper articles published in local newspapers. 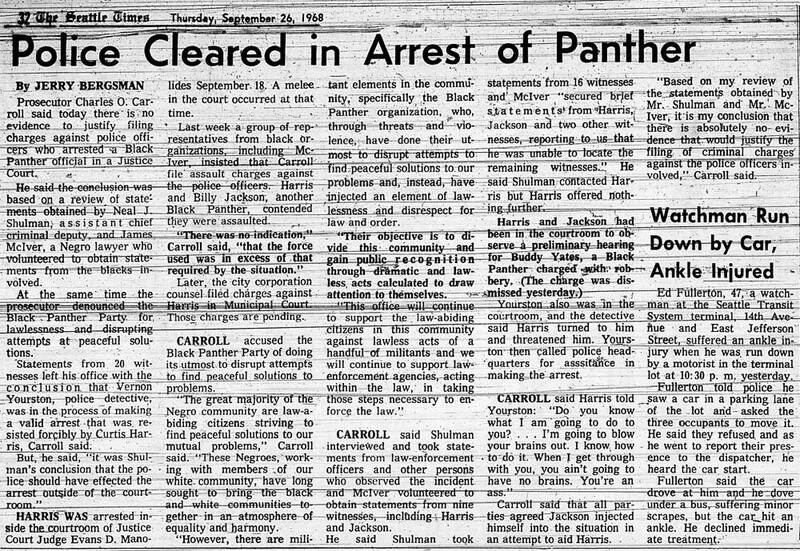 We present here that full database of citations along with readable digital versions of many articles (click highlighted links). 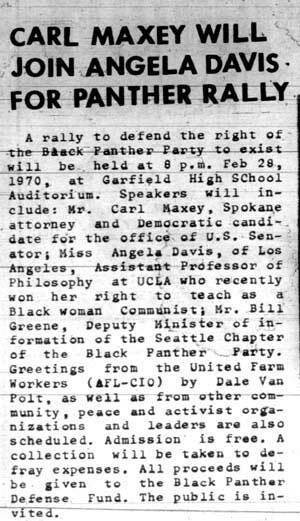 These articles are courtesy of the Seattle Times, Seattle Post-Intelligencer, Seattle Medium, University of Washington Daily, Seattle Afro-American Journal, Pacific Citizen, Seattle Sun, Seattle Magazine. 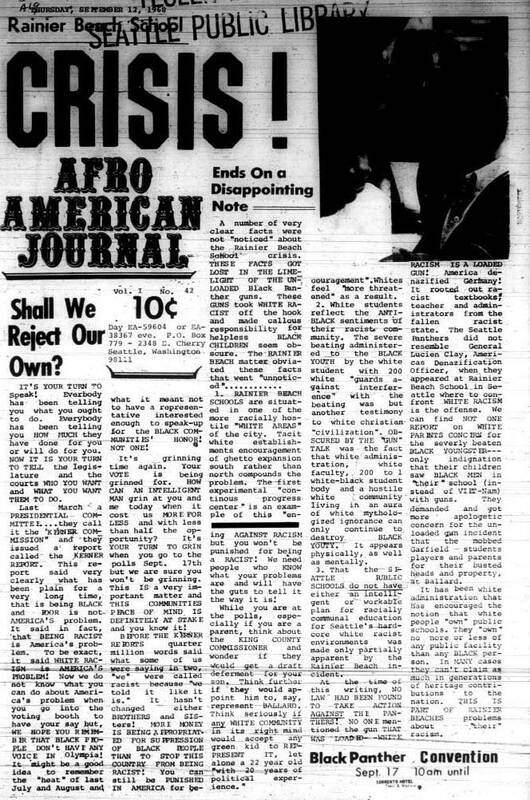 9/12 Afro-American Journal Rainier Beach School Crisis! 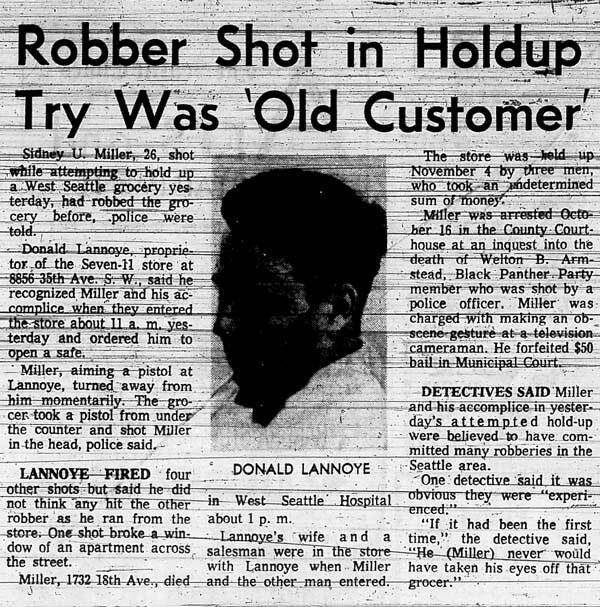 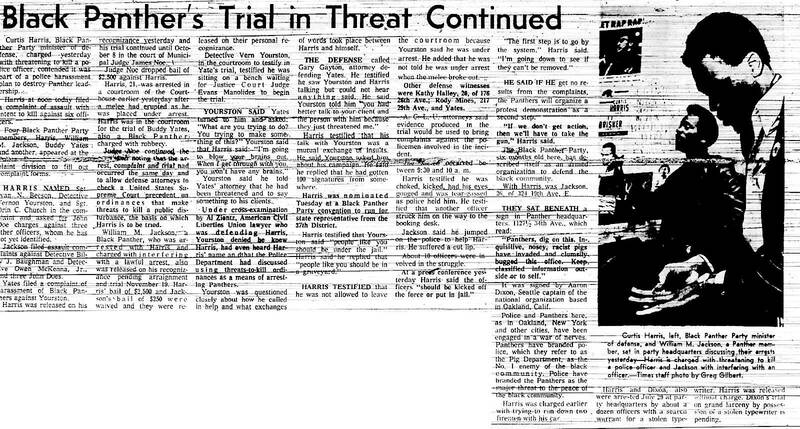 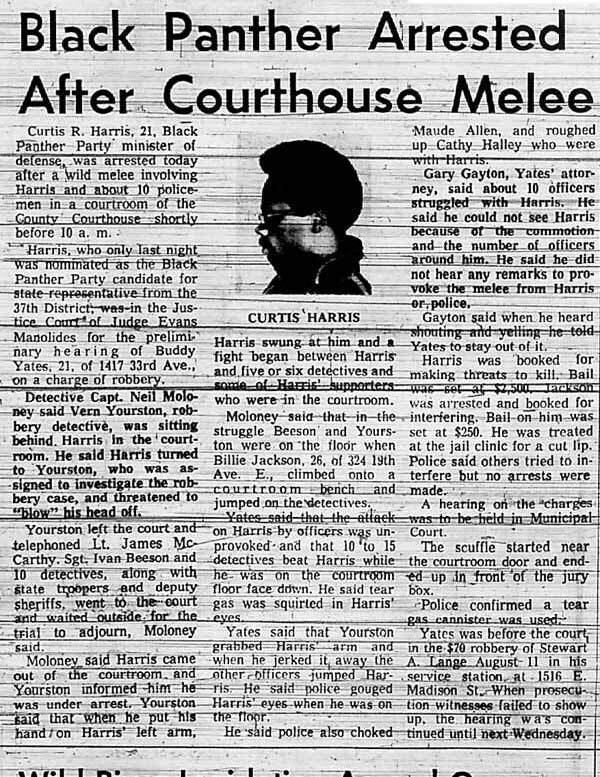 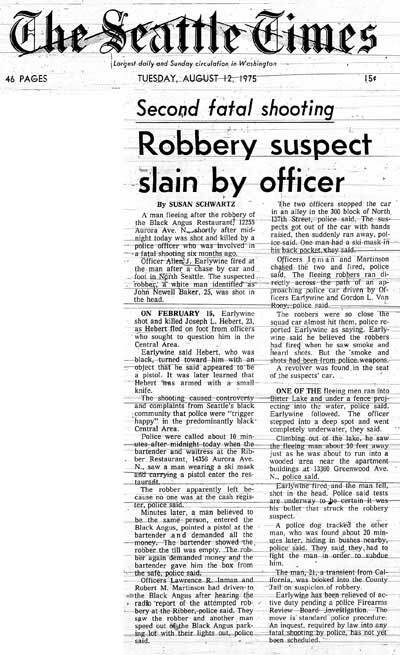 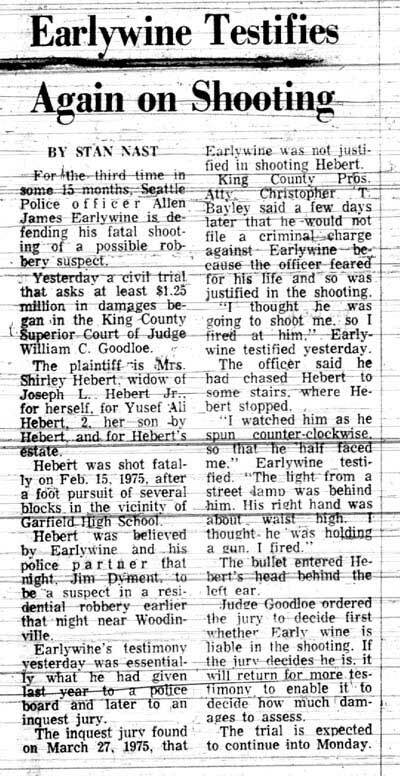 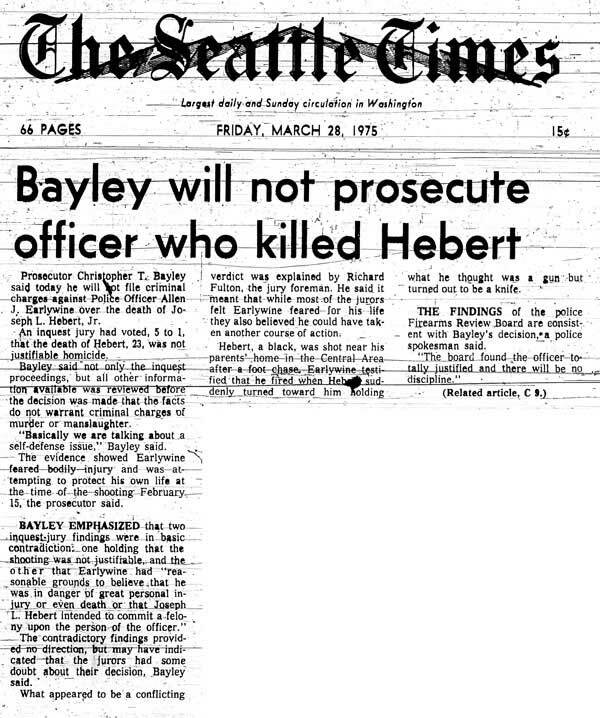 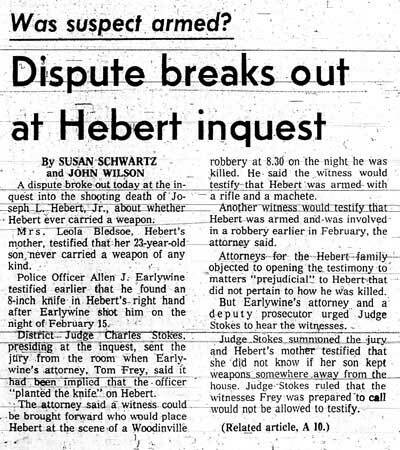 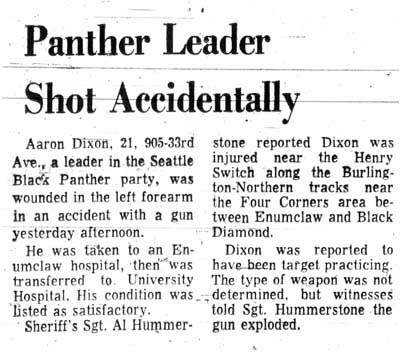 10/15 Seattle Times “Either he or I was going to get shot,” policeman tells jury. 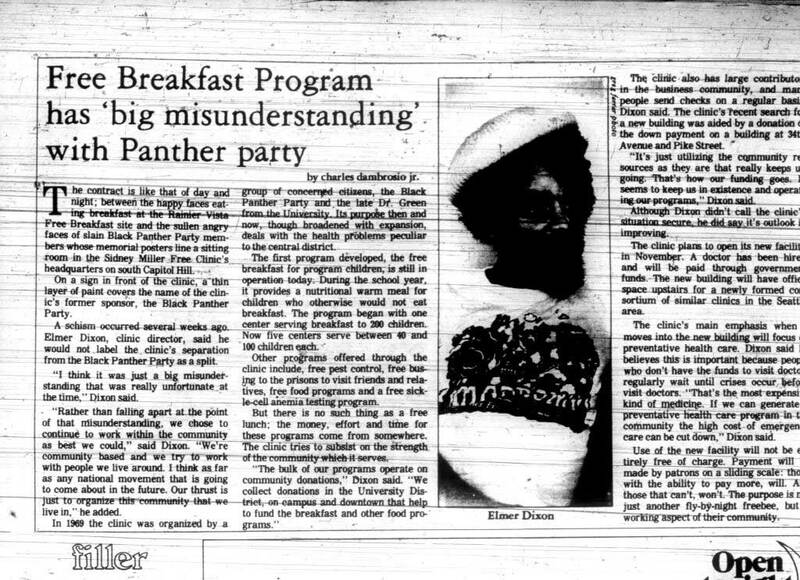 11/24 UW Daily Breakfast program: Who are those guys?